Our window films provide protection for your home and your family, from increasing your security and comfort to protecting people and objects from the damaging UV rays of the sun. To ensure your 3M Window Films are doing their job, we have a warranty backed by the 3M name you trust. Maintain Solar Reflective Properties without cracking, crazing or peeling. Maintain Adhesion Properties without blistering or delaminating from the glass. In the event the product is claimed to be defective under this warranty, the consumer will contact their authorized Dealer/Applicator, provide a copy of this warranty and arrange a convenient time for the authorized Dealer/Applicator to inspect the windows. Replace the Quantity of Film proved to be defective. Provide Removal and Reapplication Labour Free Of Charge. This warranty is provided only to the original purchaser and is not transferable. Seller also warrants against glass failure due to THERMAL SHOCK fracture for five (5) years and SEAL FAILURE for three (3) years (to a maximum of $500 per window including material and labour) caused only as a direct result of the application of 3M Sun Control and/or Safety and Security Window Films, providing the film was applied to recommended types of glass and the glass failure is reported to the Seller within the specified time of five (5) years for THERMAL SHOCK fracture and three (3) years for SEAL FAILURE from the date the warranty was issued. In order to obtain the SEAL FAILURE portion of this warranty, the consumer must provide the Seller with proof of the original window manufacturer’s Seal Failure warranty. The SEAL FAILURE portion of this warranty will UNDER NO CIRCUMSTANCES extend beyond the original window manufacturer's Seal Failure warranty period. ANY GLASS FAILURE COVERED BY THIS WARRANTY MUST BE INSPECTED BY SELLER PRIOR TO REPAIR, AND ONLY COVERS FILM AND GLASS REPLACEMENT. This warranty is void if the product has been subjected to abuse or improper care. Seller should not be liable in either tort or contract for any loss or damage, direct, indirect, special, consequential, or incidental, arising out of the use or inability to use this product. Some Provinces do not allow the exclusion or limitation of incidental or consequential damages, so the above limitations may not apply to you. THIS WARRANTY GIVES YOU SPECIFIC RIGHTS AND YOU MAY ALSO HAVE OTHER RIGHTS WHICH VARY FROM PROVINCE TO PROVINCE. This warranty covers Canadian installations by authorized Dealer/Applicators only.  3M Window Films may be washed with common washing solutions, including ammonia based products, THIRTY (30) DAYS AFTER INSTALLATION (allow an additional 15-30 days for thicker security films). Abrasive type cleaning agents and bristle brushes that may scratch the film must not be used. Synthetic sponges, squeegees or soft cloths are recommended to be used with cleaning solutions. To maintain your warranty, do not use tape or other adhesive products on the film. Allow air flow between window covering and glass for best performance. Download the PDF of our residential warranty.